By following these steps, you can build a strong, reusable rabbit trap using only a minimal amount of materials and time. 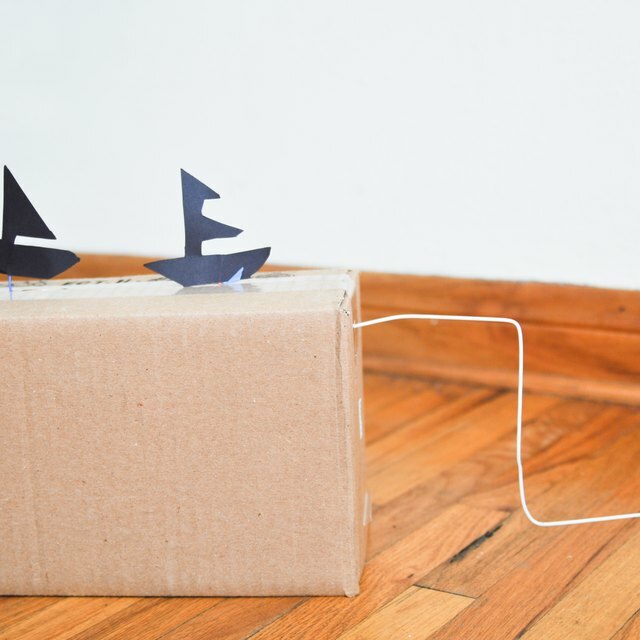 This box trap requires bait to lure a rabbit into the box. If the rabbit knocks the door prop down, a door swings down and a nine gauge wire prevents the rabbit from exiting. Make sure you check local laws regarding trapping before you spend money and time building a trap. Choose lumber that can retain its integrity despite sustained contact with the ground and moisture. Redwood resists termites and decay. Chemically treated lumber also resists termites and fungus but contains elements that may be dangerous. 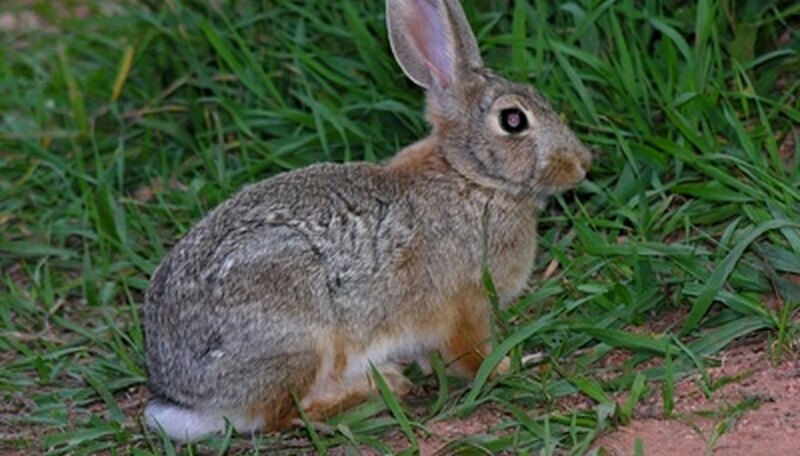 Softer lumber such as basswood may be less resistant to outdoor elements so it may not be a good choice for use in a rabbit trap. 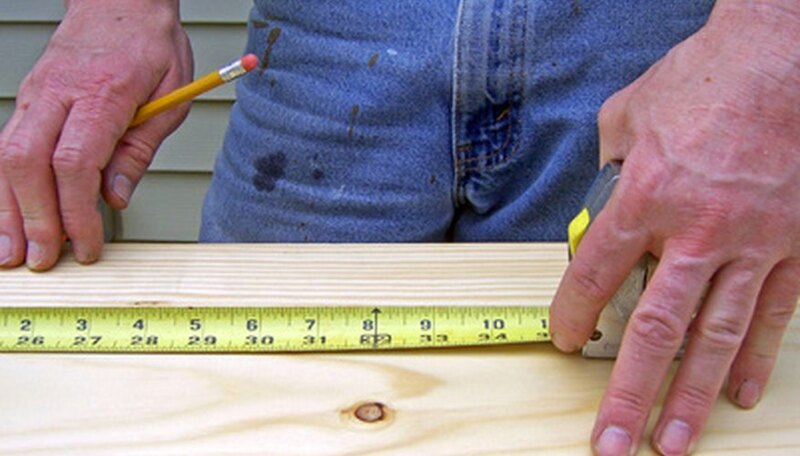 Measure and cut the four side pieces and the back piece of 1-inch-thick lumber to be 22-by-6 inches. Cut the door to be 4 1/2-by-6 inches, and 1-inch thick. Fasten the sides to the bottom using outdoor wood glue and nails or screws. Use 1 1/2-inch nails or No. six 1 1/2-inch wood screws. 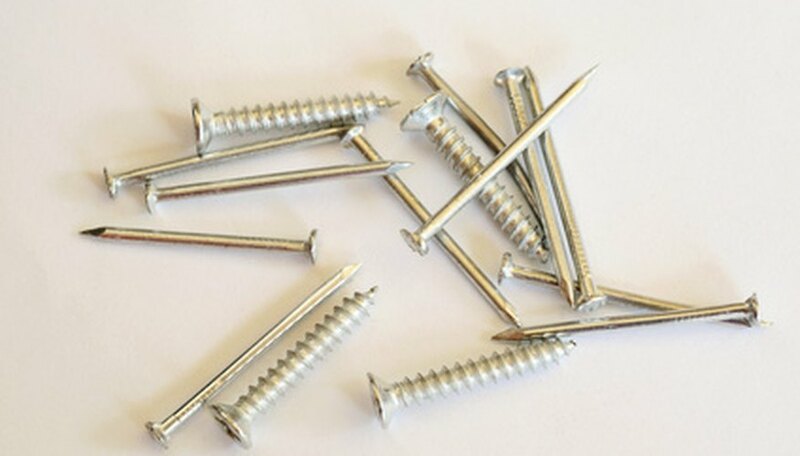 If the nails or screws are too large, they might split the wood, so it might be wiser to tack many smaller nails rather than attempting to use a few large nails. After the sides are securely fastened to the bottom, decide which end of the box the door will be on. Fasten the back to completely cover the end of the box opposite of the door. The back piece will protrude out past the sides. You can either cut the protruding ends off or leave them to make it more difficult for an animal to flip the trap over. Drill holes through the side pieces large enough for the nine gauge wire to slide through. Drill the holes one inch from the front edge of the trap and one inch from the top edge of the side pieces. Screw two eye screws into the top of the door piece, spacing them 1/2 inch from each edge. Slide the 7 1/2-inch-long nine-gauge wire through one of the holes you drilled in a side piece. Holding the door inside the box with the eye screws toward the top, push the wire through the two eye screws and then trough the hole you drilled in the other side piece. The door is now hanging and can swing around on the wire. Ensure equal lengths of wire are sticking out of both sides. Bend the wires down so the wire cannot slide through either side. Screw two eye screws into surface of the top piece that will face the inside of the box. The first should be screwed in 1 3/4 inches from the front edge of the top piece, and the other should be placed 2 3/4 inches from the front edge. Both should be placed two inches from the left the side edge of the top piece. 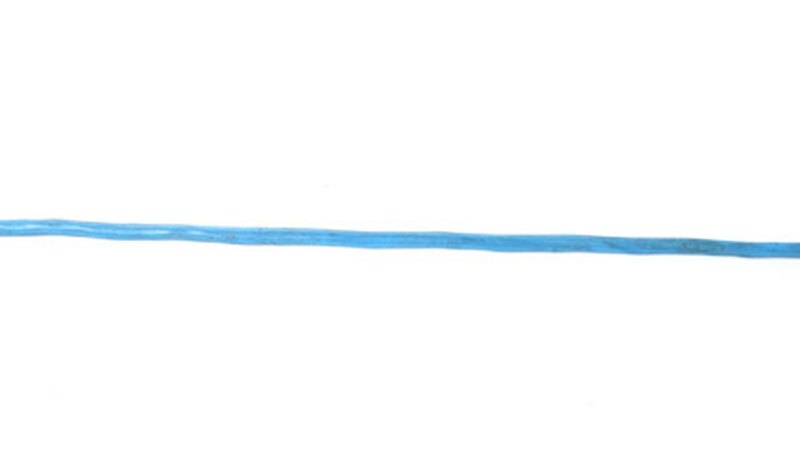 Thread the 5-inch piece of nine-gauge wire through the two eye screws so that 2 inches of it are inside the eyes. Bend the end of the wire sticking out of the eye (second from the front) so that the wire is hooked onto the two eyes and can swing freely without falling off. Bend the end of the wire toward the front down so it points toward the bottom of the cage and toward the back about 60 degrees as it exits the front eye screw. Attach the top piece by nailing, screwing and or gluing it to the top edges of the side pieces. Push the door toward the back of the box so it swings up toward the top piece. Prop the door using a 4-inch nail or similar device. Ensure the wire attached to the top can swing freely once the peg is bumped and the door falls. This will prevent the rabbit from escaping after it enters the trap. Use both all weather wood glue and nails or screws. The glue will strengthen the box and seal cracks so moisture does not rot the wood. 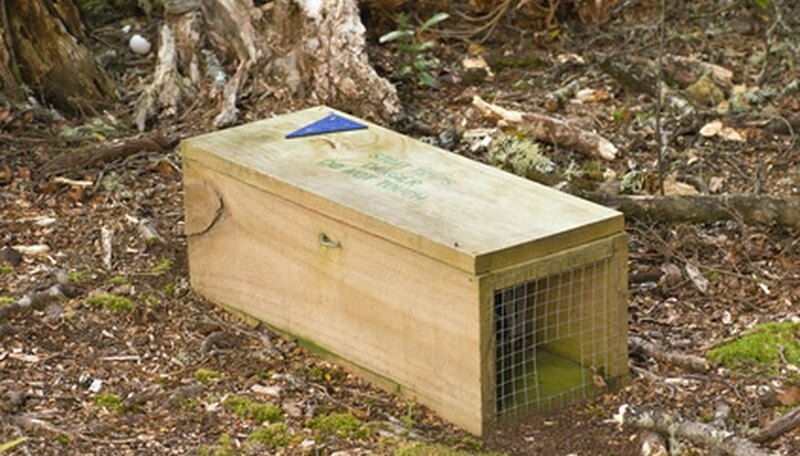 Check local trapping laws and rules. Do not trap your neighbor's Chihuahua. Never set traps without the landowner's permission. 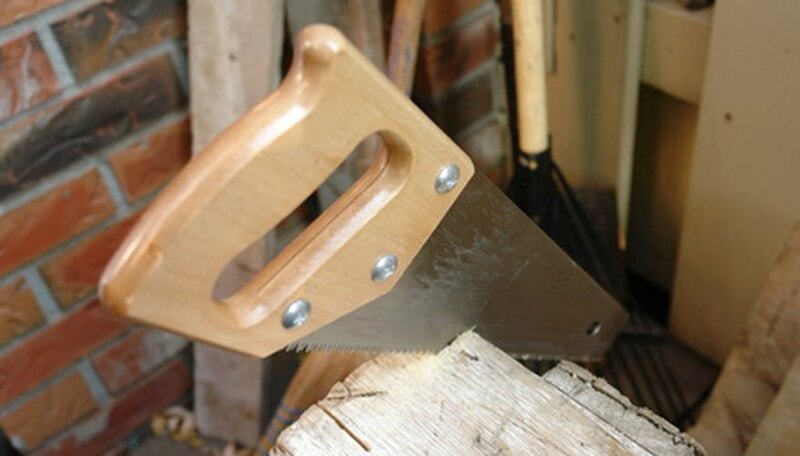 If you are younger than 18 years old, consult your parents or guardians before using tools such as saws. If using chemically treated lumber, wear gloves and a respirator when sawing. Jason Jacobs began his professional writing career as a staff writer for a college newspaper in 1995. He writes for such organizations as EL Services International, GiantSlayerS (an online gaming community) and more. Jacobs holds a diploma in education from Metropolitan State University, Minnesota, and the Minnesota Montessori Training Center. Jacobs, Jason. "How to Build a Simple Rabbit Trap." Sciencing, https://sciencing.com/build-simple-rabbit-trap-7713865.html. 24 April 2017.